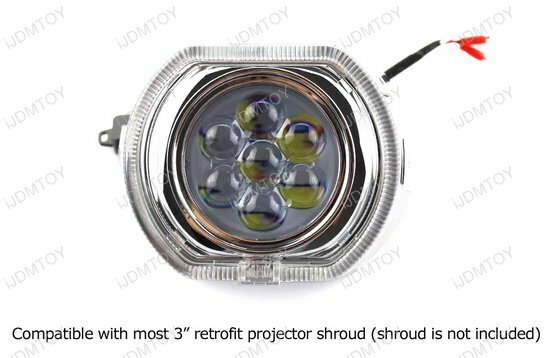 Q: Do these retrofit headlight projectors fit my car? A: This is a highly customizable product, so the installer should be able to fit the assembly into the vehicle as long as the space is wide and large enough for accommodation. 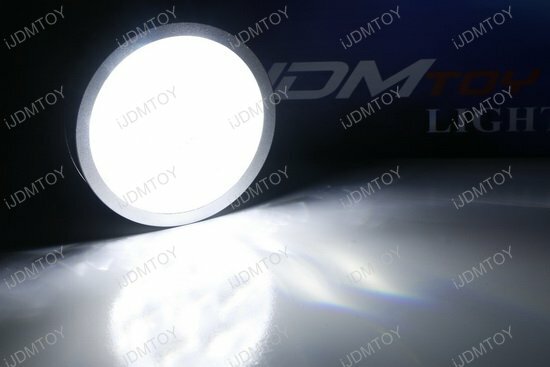 The JDM Q45 style multi-lens LED projectors measure at 3" in diameter. Q: What housings are compatible with these projector lenses? 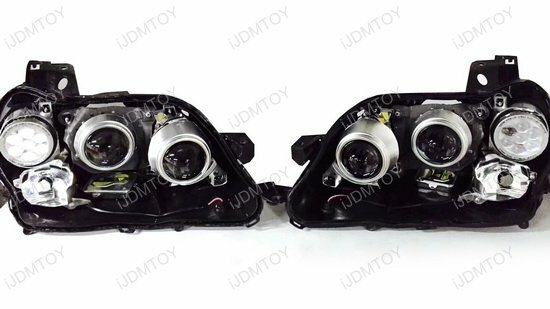 A: You can install these projector lenses in H1, H4, H7, H11, 9005, 9006, 9007, or H13 high beam or low beam head lamp housings using the included adapters and washers. 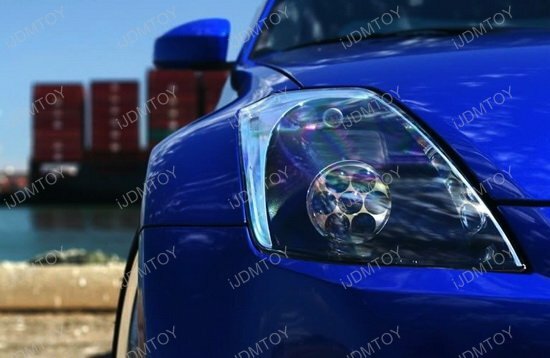 Headlight customization is a hot mod that can totally change how your custom car looks and feels. 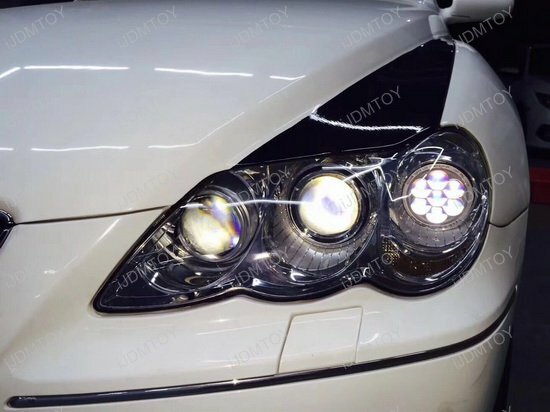 One popular look is the Infiniti Q45 projector headlights however, you can't just slap in OEM Q45 style projector lenses because they are too big. 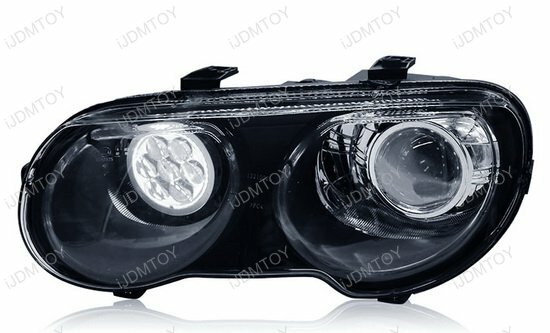 So if you really looking to add an Infiniti touch to your headlights, you'll want to get the 3" JDM Q45 style multi-lens projectors! 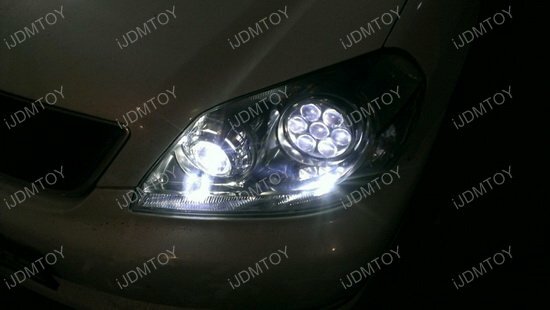 This page features the pair of mini 3" JDM Infiniti Q45 style 25W LED projector lens kit for most H1, H4, H7, H11, 9005, 9006, 9007, or H13 low beam or high beam retrofitting. Please note that installation will involve baking open your headlamps. We highly recommend hiring a professional to perform the installation for you. 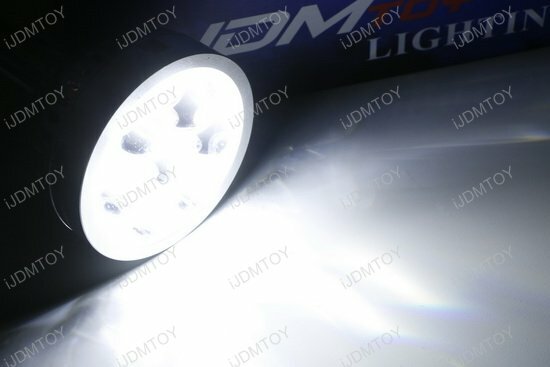 The JDM Q45 style multi-lens projectors are specially redesigned from its OEM counterpart to measure at a 3" inner diameter (3.15" full diameter) and has a total length of 3.75". 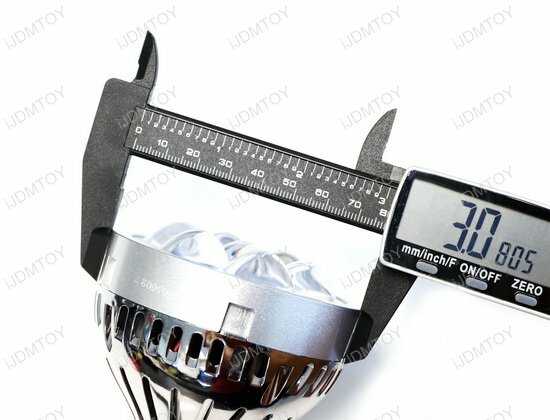 This will ensure nearly universal fitment in your headlamps since the original Q45 projectors are 5.5" in diameter and make for a much more difficult fit. 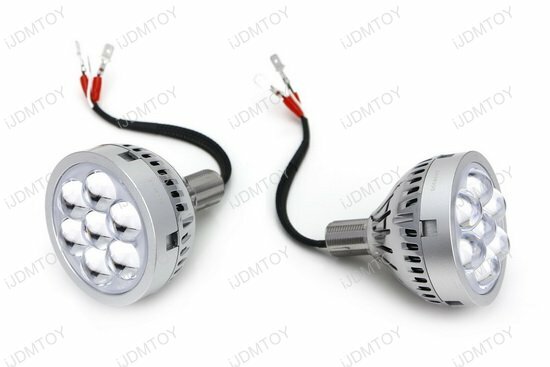 Boost your car's style and utility with full LED multi-lens projectors that are powered by 25W high power LED diodes that also shine as LED daytime running lights. 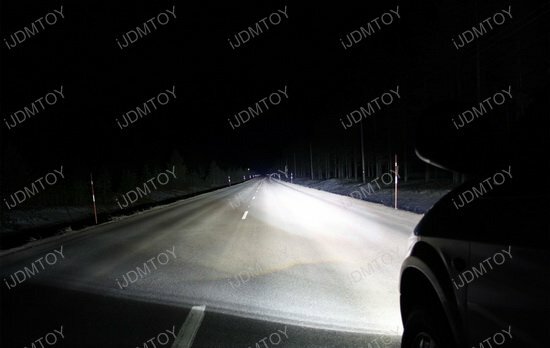 No need to install additional HID light bulbs! The Q45 style projector lens kit will include a set of adapters and washers so your multi-lens projectors will be compatible with most H1, H4, H7, H11, 9005, 9006, 9007, or H13 high beam or low beam housings. 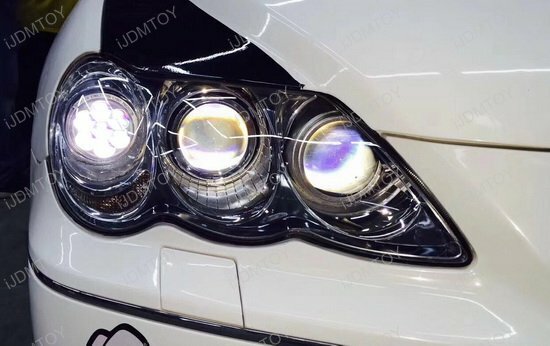 With the JDM Q45 style LED multi-lens projectors, your custom car will take on the spirit of the Infiniti Q45 to give it the special look that truly represents you!